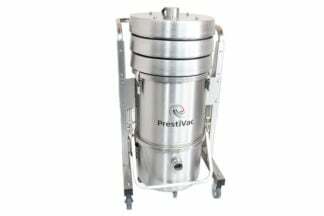 Intrinsically Safe Vacuum Prestivac EV1-5 EX is Class II Division 2 certified portable vacuum cleaner made of stainless steel and powered by a high-performance motor. It’s electrically operated and dust ignition protected designed to safely vacuum combustible dust. Static dissipating ESD safe with 4-stage filtration. 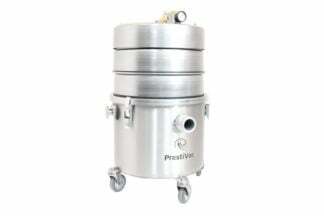 Presenting the Intrinsically Safe Vacuum Prestivac EV1-5 EX Class II Division 2 certified is an industrial vacuum for hazardous materials, electrically operated and dust ignition protected vacuum cleaner. 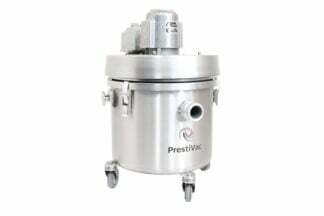 It's made of Stainless steel construction with a high-performance motor yet the noise level is maintained at a very low 72 dB during operation. 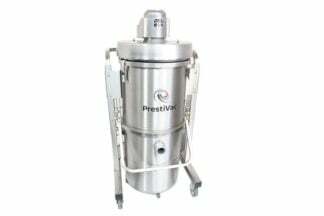 It consists of a 4-stage filtration for maximum performance and efficiency. 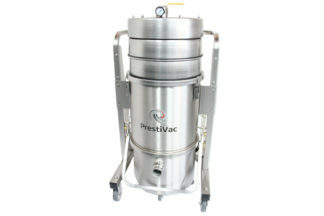 Dust ignition protected vacuum models are guaranteed safe when working in a hazardous environment. They are specially designed to safely vacuum flammable, combustible dust. It is completely grounded and static dissipating as they are fully made with non-sparking metals and do not have any painted components so there is no risk of fire or explosion from a spark or static build up. Every electrical component is protected by enclosure so there is no source of ignition which includes the motor and starter. This one of a kind vacuum cleaner is complete with accessories such as Static Dissipating suction hose assembly 1.5” x 10’, Wand 1.5” Pull Pin Type, Floor Tool 1.5”, Crevice tool, and Round brush. As an added value, it includes a 3-year warranty that will surely give you peace of mind. 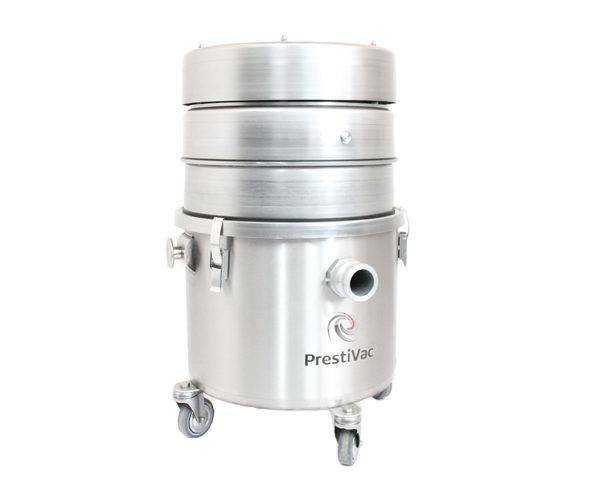 Unbelievably powerful and durable Intrinsically Safe Vacuum Prestivac EV1-5 EX is certified Class II Division 2 portable vacuum cleaner made of stainless steel construction. It’s safe to use to vacuum combustible dust in a hazardous area. The 3 years warranty is a will surely give you peace of mind.